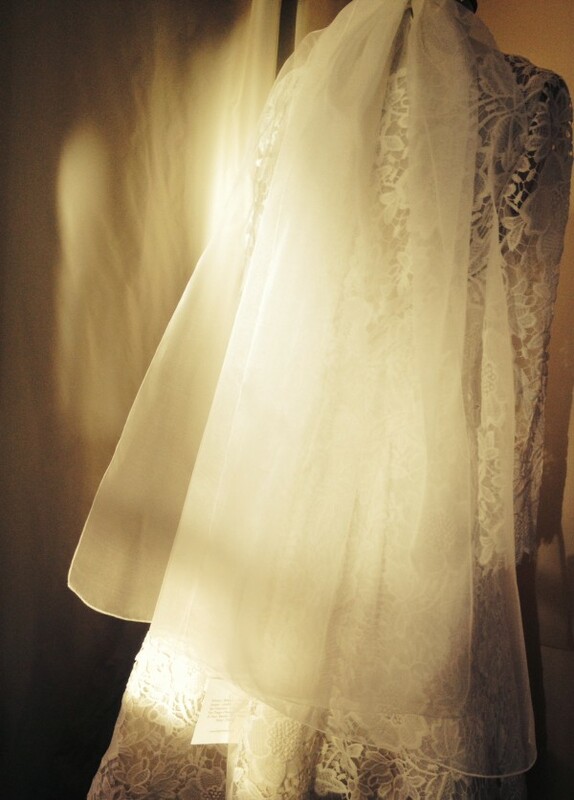 A wedding dress is not complete without a veil. But what is its significance? Nowadays the veil serves a purely aesthetic function and gives the final touch to the bridal look. However the veil has a long tradition which grounds its roots in ancient times. The first veil goes back to the Roman times when the young brides ascending to the altar wore the Flammeum, a light red veil which covered the face during the nuptial ceremony. During ancient Roman times weddings were often arranged by the families and the spouses could not meet each other. The veil worn at the altar served to hide the bride’s features until the very last moment, when basically it was too late for the groom to run away. Arranged marriages and hiding the bride under a veil until the end of the ceremony was still being practiced during Medieval times. Made of linen layers, the veil was also intended to protect the bride from evil spirits who might wish to thwart her happiness. During the Renaissance the ceremony became a social moment to show off and the look of the veil also changed. It was made from fine fabrics, longer than the bridal dress and considered a proper accessory for the occasion. The current tradition finds its origin in Romanticism: the long white dress was recognized by the Catholic Church as representing purity and virginity, along with the white veil, the gloves, the nuptial cake and the reception. Only from the 20th century do we see proper bridal trends in line with historical and economical times, new designers and personal preferences. In fact we can see distinctively different looks throughout the decades. In the Twenties the veil had a long train decorated with gems and embroideries. In the Thirties the veil became short, enriched with tiaras and beads. From the Fifties the veil becomes very elegant, long with different cuts and details which complement the look of the dress.